After a long history of successful collaboration, LG and Google have combined forces again to bring you the LG G Watch, powered by Android Wear. It’s intuitive and comfortable, bringing the info you need to your wrist. And, it is so friendly and easy-to-use that with its extended connectivity, life will truly be more simple and convenient. 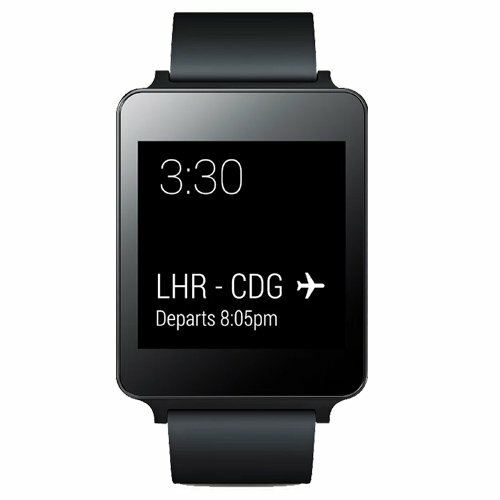 The LG G Watch will work with any Android Smartphone running Jelly Bean 4.3 and higher, opening up endless possibilities (compared to other smart devices which will only work with same brand smartphones). The G Watch’s beautiful display, slim design and long battery life make it remarkably comfortable to wear, all-day, every day. It’s available in a range of stylish colours, and can be customised with any standard 22m watch strap, so your G Watch can instantly become a part of your style. The G Watch never sleeps; its always-on display allows you to check the time and see new information at a glance without touching it, and the powerful yet compact battery will keep your watch going all day on a single charge. Don’t worry about it getting dirty either, G Watch is both water-and dust-resistant (IP67 certified). Android Wear organises your information, suggests what you’re going to need, and shows it to you before you even ask, such as weather forecasts in the morning and flight time and gate information before leaving for the airport. Just say “Ok Google” to ask your G Watch questions, like how many calories are in an avocado, what time your flight leaves, and the score of your favourite football team.